For centuries, even older than your great grandparents the existence of tarot cards has been an important part of history. Many psychics or people with special abilities have used this as a tool or as amplification of their inborn powers. What makes people fascinated to these cards is because unlike the ordinary play cards, where you can only see four different figures (heart, diamond, ace and spade), the tarot cards have interesting artworks on each card. Nothing is the same each card is completely different from each other. 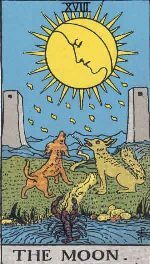 Each card bears a certain figure with a certain meaning attached on to it. Each of the cards has its own story to tell, a story of its origin perhaps. Its role in the society has been established even before. Its popularity is just one of the thousands of proof that tells everyone ofits importance. You can say that through tarot cards, the reader can foretell a person’s entire life, including his or her past, present and even their future if they wanted to. The tarot meaning or the meaning of each card plays an important role in a person’s life. Through the use of the tarot card, it allows readers to help people who are in need to understand issues that are related with their personal lives such as relationships, career and other opportunities. Each card’s face has its own pictorial representation that may vary on the type of card the reader is using. The cards are also assigned in different numbers, since there are 78 individual cards in a single tarot deck. Twenty two out of seventy-eight belongs to the Major Arcana, and the remaining numbers of cards belong to the Minor Arcana. Since there are several tarot meanings it is necessary for beginners to study more about the tarot cards and the tarot world. Once in a while, questioning what will happen in the future will help you in gaining security in the present time. Because as you ask yourself about the things that will occur in the near future you will begin to wonder more about other things. You will start to be self-conscious and become more motivated than usual. Who wouldn’t want to have a stable life ahead? Everyone is looking forward for the future. If someone is given the chance to know about their future, of course anyone would grab the opportunity. This will become the big step and a chance to change your present self if it hinders your progress in the future. Wondering what will happen in your career, if your boss will give you promotion or if your business will still bloom? Want to know if you will have a happy family and a stable relationship with your partner, friends and family? All of these questions were possible if you will have faith in tarot cards and its readings. The tarot meaning will depend on the person who is willing to accept the truth no matter what.